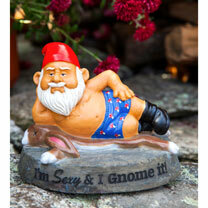 Garden gnomes are not normally known for being attractive but this one is the exception. 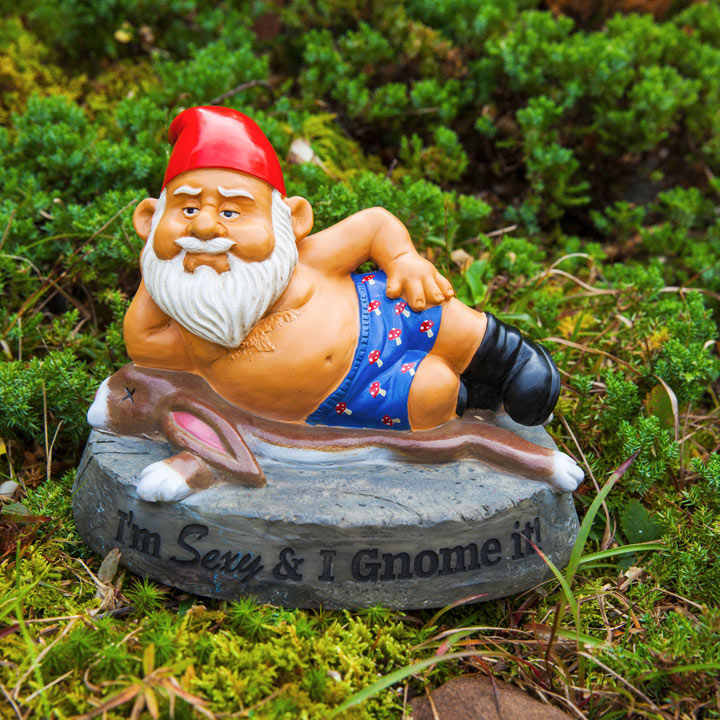 Not only does he know his way around a garden, he's not afraid to seduce you into trying his "forbidden fruit". 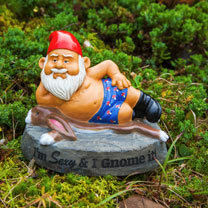 Made of durable cast poly resin to withstand the elements. Approximately 9" tall. The hot stuff garden gnome.